Vertical design compressors create huge air volume from the smallest possible floor footprint. 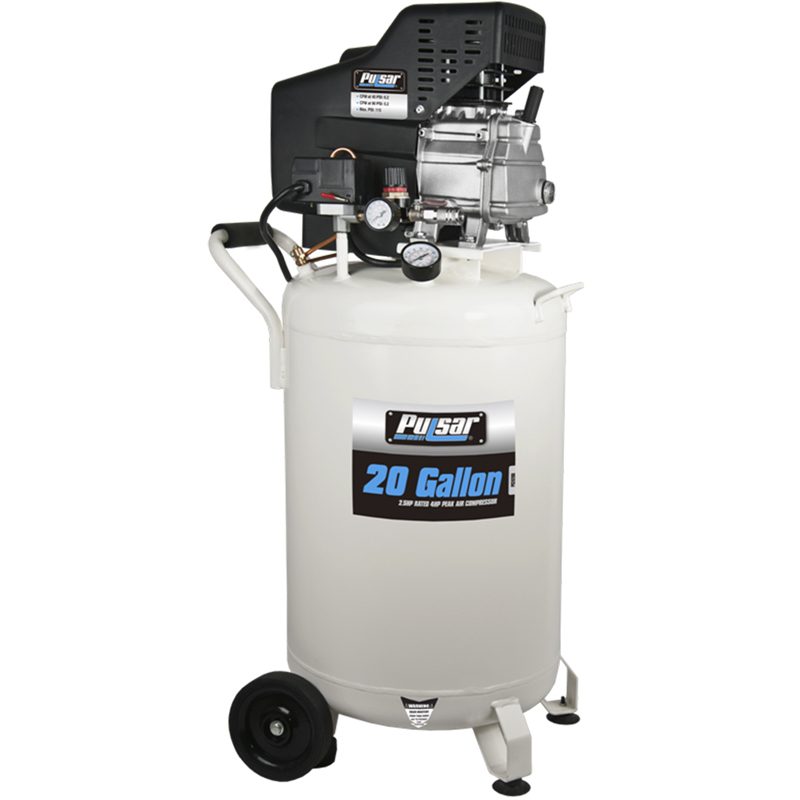 Ideal for the shop or garage where it can be stored yet used, the PCE6200 has a 20 gallon, electro-statically paint tank while its oil lubricated pump affords the user hours of operation with little or no maintenance. Creating maximum pressure of 115 PSI while producing CFM’s of 6.2 @ 40 and 5.2 @ 90, the PCE6200 is designed for longer duration projects. With dual pressure gauges and dual brass quick connect couplers and both a handle and wheels for ease of relocation near the job this unit is great for big jobs yet compact enough for convenient storage.